Light Up Santa Hats are perfect for your christmas party! 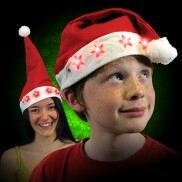 Accessorise your festivities with these plushy soft light up santa hats - each featuring flashing stars! Embrace the Christmas spirit and party in style in this super cute Flashing Springy Santa Hat! 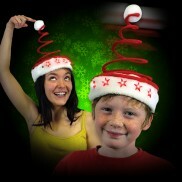 This springy hat lights up and dances when you do for brilliant festive fun! Jingle all the way this Christmas in a flashing reindeer head band! 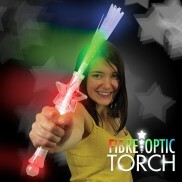 SUPER FIBRE OPTIC TORCH This enchanting wand is multi functional and multi coloured with six different settings for extra wow factor! Batteries are included and ready to go! 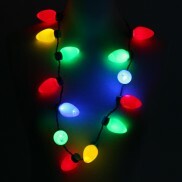 Get into the swing of your party and light up your outfit with the Flashing Party Necklace. Excellent for parties, celebrations, fancy dress and fun festivities. 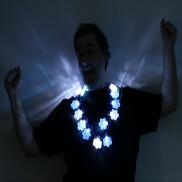 Make an impact at your Christmas parties with a large flashing snowflake necklace! 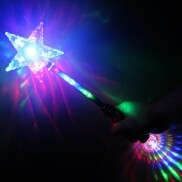 A very bright flashing star wand with magical effects. Bright flashing LEDs illuminate the star and stem whilst a flashing disco ball sits on the base of the wand for extra sparkle! 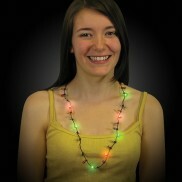 Trim up and hit your party in extra large colourful bulbs on this LED party necklace. Guide your way and illuminate the darkness with magic! Is it lit by fireflies, fairies or magical spells? 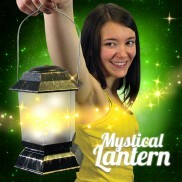 The beauty of the Mystical Lantern is that it's up to you! 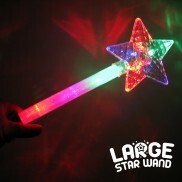 Super sized and super bright, this colourful Large Flashing Star Wand makes a huge impact! 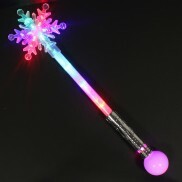 Topped with a large snowflake that's choc full of multi coloured LEDs, this large snowflake wand makes a huge impact!